One of my favorite mother's day gifts for my students to make for their moms is a cookbook. I have done it several different ways over the years. I have included a few photos below. I like the recipe page with their picture on it the best. I usually include a note to the mom's from me in the front and the recipe of my class. Have a mother's day tea. Invite mom's to come for a story, cookies, and tea. I read the book Five Minutes' Peace and then the kids gave their mom's bath salts we made. We covered the tables with colored bulletin board paper and decorated them with die-cut flowers. 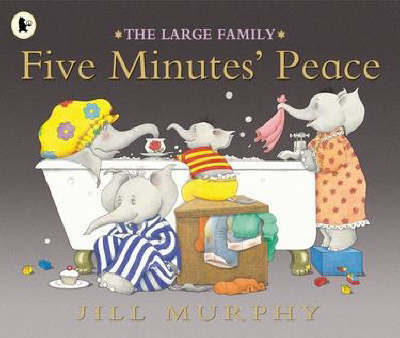 In this book, mother elephant tries to get five minutes of peace in the bath away from her children. Of course....she finds that wish to be impossible!! All mother's will be able to relate to this story. Place Epsom salts in a glass or metal bowl. Combine the glycerin and food coloring. Add perfume or lotion to make the mixture smell good. Then add the Epsom salts. Stir thoroughly. Spoon into small ziploc bags. We placed this poem on the bath salts. Who does her best in every way. I also have the students make cards for their moms. I fold a 9 X 12 sheet of construction paper in half. Then I have students paint a handprint on the front. 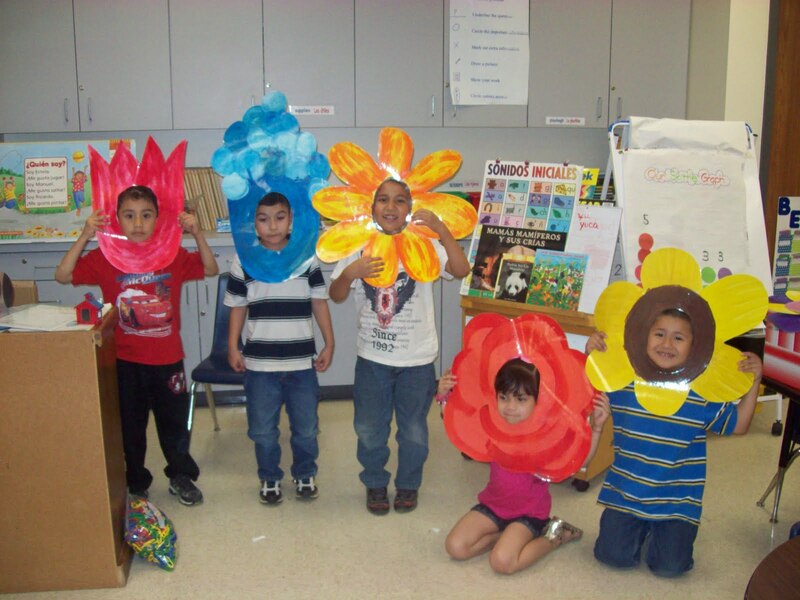 When the handprint is dry, they go back and use green construction paper to add a stem and leaves to their flower. I place this poem on the inside. Because it was made from a part of me. To show I love you with all my heart! I wish I had an example of this, but I did it so long ago that I do not. I had my students make the girl from the TLC lessons People book (the older version). Then they wrote about why their mom was special. I had the students choose construction paper based on the color of their mom's skin and hair so that it would look like their mom. You could do this same type of thing, but have students draw portraits of their moms. You could frame their pictures with a construction paper board so that they look like they are in a frame. 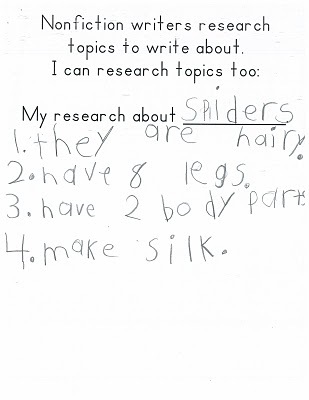 I have also had students write about things their mom can do. 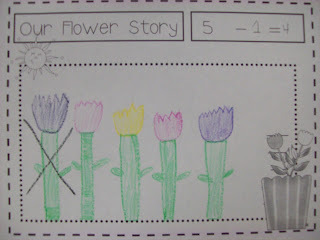 I also have my students make a mother's day story. It is usually very funny to read and see how old students think their mom is or how much she weighs. Make sure you check out Deanna's new unit Alien Invasion Math and Literacy Fun. There are lots of fun lessons included and the alien theme will make learning super engaging for your students!! If you are working on adjectives, there is a great bubble map and writing activity. For all of the kinder teachers in my district, there is an alien non-standard measurement activity that would be great for practicing making length comparisons. 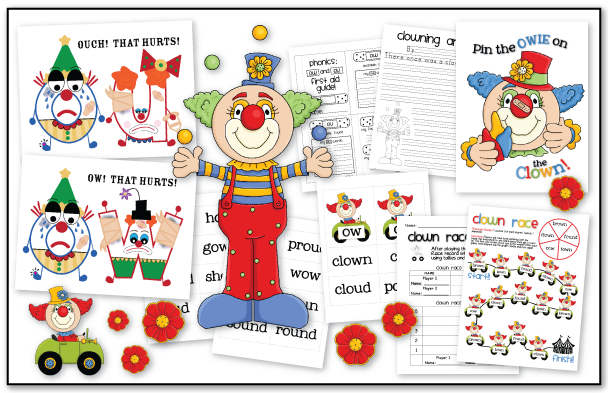 There are activities for working on "ing" words and spelling short CVC words. 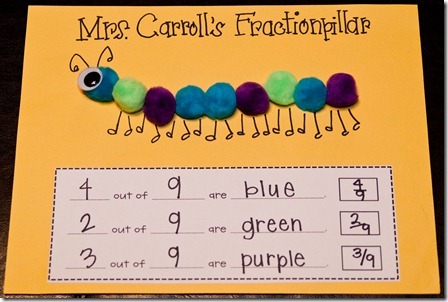 These are great for word work or literacy stations. You will also find alien word problems, a creative writing activity, a fun alien to make, alien read aloud comparisons, and a pattern block graphing lesson. As always, you won't be disappointed with Deanna's unit!! Here is a picture of the the fun alien you can make as part of the unit. I can't wait to do this with a group of students next week. 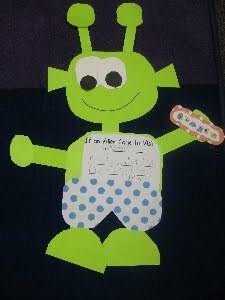 I think they will have lots of fun with the alien read alouds and the creative writing activity. I got this lesson from Kim Adsit's Spring math and literacy unit. We used flower masks to act out story subtraction problems. We did this several times to make sure everyone had a turn. While acting the story problems out, I made sure to talk about how we can not subtract more than we have and why that is so. We also orally said and wrote each equation as we acted it out. 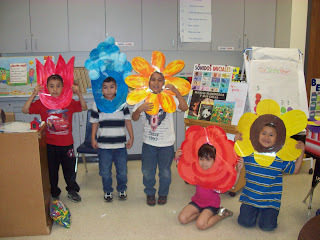 After acting out different stories I made up using flowers, the students made their own flower story. 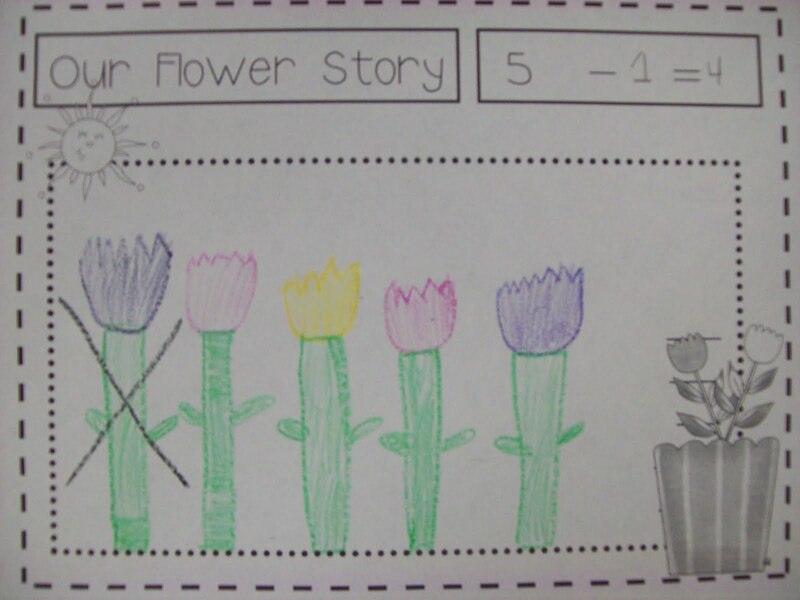 I used the sheet from Kim's unit, but I removed the lines, so that the students could use the space to draw a picture. They each thought of a story. 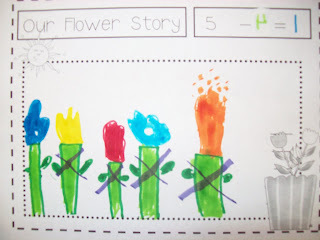 Then then drew 5 flowers. 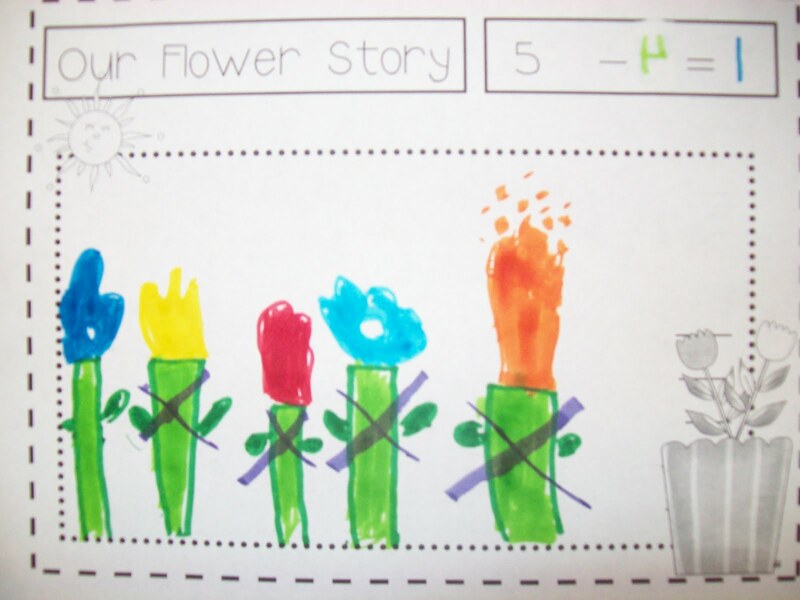 Next, they put an "X" on the flowers that they wanted to take away and finished the equation at the top of the page. 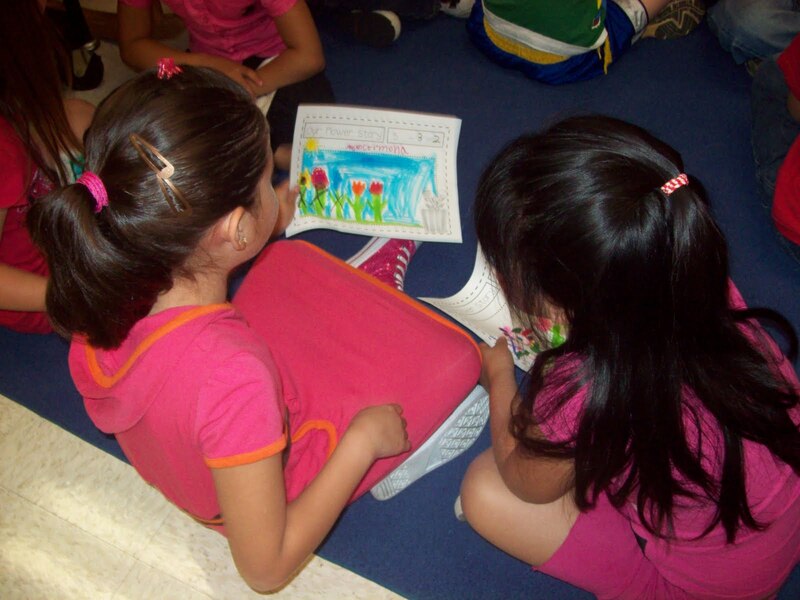 When everyone was finished, we partner shared the stories they made up. Then I chose a few students to share with the whole class. You will have to model how to share their story several times before the partner share in order to get them to tell the story in a narrative form. Clowning Around from The Teacher Wife. Abby has this as a free download. I found this great baseball unit from a link on Deedee's blog Mrs. Wills Kindergarten. Go to Little Warriors to check it out. 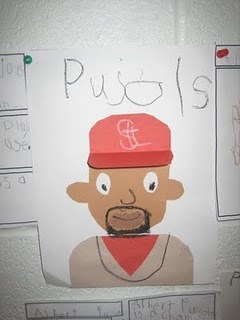 You could adapt this TLC art-like project of Pujols to be whatever baseball player is BIG in your area. Check out this great You Tube video of Jack Hartmann's song "Show Me the Money." I found it from Melayne Marchese at Under the Big Top. 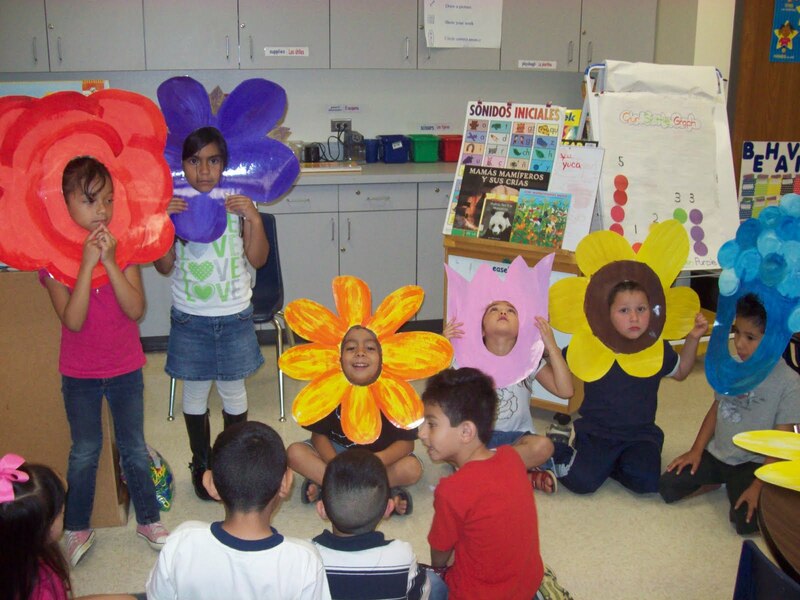 Jonelle Bell from A Place Called Kindergarten has a great post and download for teaching about the different aspects of non-fiction text. Go to her Non-Fiction Writing Try-Its Post to learn more! Here are a couple of examples of the pages from her free download. I found a couple of great animal units on TPT this week. I wanted to share them with you. 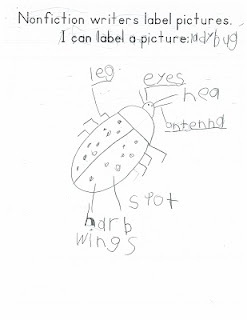 The first grade teachers in my district spent last six weeks on animals, their characteristics, their habitats, and how they adapt to their environments. They have six more weeks on these same concepts, so I tried to find some new things for them to do. I used a lesson today from Shelley Gray's Animal Habitat Mini Unit. 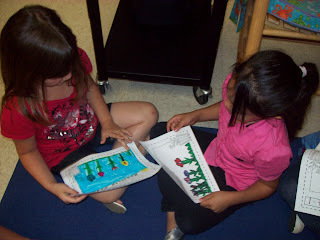 I read a book from the unit about habitats. It showed students that animals need shelter, space, food, and water in their habitat. After reading the book, I had students do the habitat simulation activity to help them see what happens to animals when they can't find shelter, space, or enough food and water. It was a great visual and the kids really enjoyed the lesson. This unit is full of lots of great lessons. The instructions are easy to read and every lesson has a picture example. Amanda Nickerson, from One Extra Degree, also has a great animal unit. Her Populations: Plants, Critters, and Food Chains has a lot of great lessons on plants and animals. This unit has a great simulation activity to show how the food chain works. It covers both plants and animals. It also includes a lesson on ecosystems and the food chain that uses the book There Was an Old Lady Who Swallowed a Fly. If you are looking for some great animal lessons, check these out!! They are worth the money. The teachers in my district are getting ready to teach measurement. Here are a few ideas for teaching area. I had my class draw shapes on pieces of manilla paper. Then they found the area of their shape using color tiles. We mixed up a batch of brownies. Then we poured the mix into the baking dish and talked about how the mix covered the entire area of the dish. After we baked the brownies, we cut them into squares and found the area of the pan based on the number of brownies it held. Brooke, from Primary Perspective, just made a post about using Cheez-its to find area. Students can use regular cheddar and white cheddar Cheez-its to make an area pattern. Try out the new Big Cheez-its! They are lots of fun! Brooke also suggests using Fruit by the Foot and Pixie Stix for measuring. Check out Brooke's post at The Big Cheese and Delicious Dominoes. The girls at Lesson Plan SOS have a great lesson on area. Its called Tile Time: Area and Perimeter in a Fun Interactive Way. 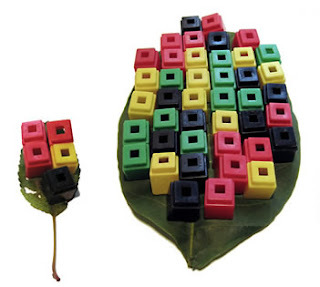 Students are challenged to use color tiles to create a new tile pattern for their classroom. It's a simple, interactive, and fun area lesson! It includes instructions, voting cards, and picture examples...all for just $1.99!! Another idea is to compare the area of the beds of the three bears. Make large bed shapes out of bulletin board paper. Then have students compare the area of the beds and discuss why the area was more or less, etc. 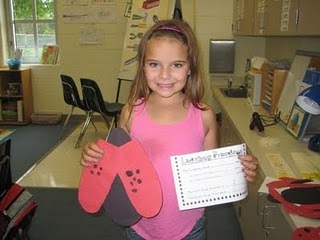 For a few other ideas, take a look at kindergartenlessons.com. If you are looking for transportation ideas, check out Kathleen's Growing Kinders Transportation Post. 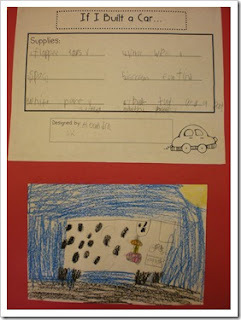 Kathleen's post suggests several good transportation reads, lesson ideas, and center activities. Kathleen has provided all of the recording sheets as free downloads on the post. Be sure to check out Kim Swoveland's free transportation unit from TPT too!! 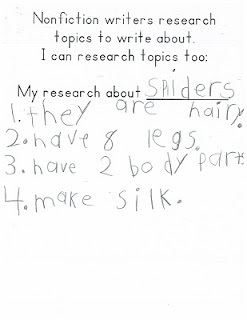 Erica Bohrer's from First Grade has a great new writing unit for sale on TPT. Go to Erica's Letter Writing post for a full preview of what the unit contains and a great lesson idea based on the book Help Me, Mr. Mutt! by Janet Stevens. (If you are not familiar with Janet Stevens, check her books out. I love them!! The Great Fuzz Frenzy and Cook-A-Doodle-Doo are two of my favorites.) The lesson idea focuses on voice. If you are a pet owner, then you will be able to make a lot of self to text connections for your students as you read.The lesson involves brainstorming problems dogs could have and then writing a letter in the voice of a dog needing advice. The lesson also has students respond as Mr. Mutt to their own letters. Check out this math blog hop giveaway for some great math lessons!! Go tolove2learn2day for the post. You can download the recording sheet that goes with this lesson for free from Cara's post. 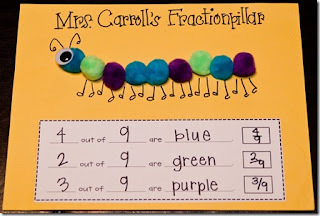 To purchase the entire unit, go to Cara's TPT store Fraction Action. Mrs. Saoud from Primary Graffiti also has a fun fractional parts lesson. It uses insects. You can download the recording sheets for the lesson from her post. Sorry this has taken so long to get together. I am really overloaded with work and school right now. Here are the ideas I found in my earth bucket. There are a few pictures missing of examples because my daughter took my camera. I will go back and add them when I get it back.